In 2016 I was nominated by Griffith University to attend the Aspiring Leaders Forum in Wellington, New Zealand. This was an experience like no other. This article is one from the heart, sharing my experience and memories from the Aspiring Leaders Forum 2016. 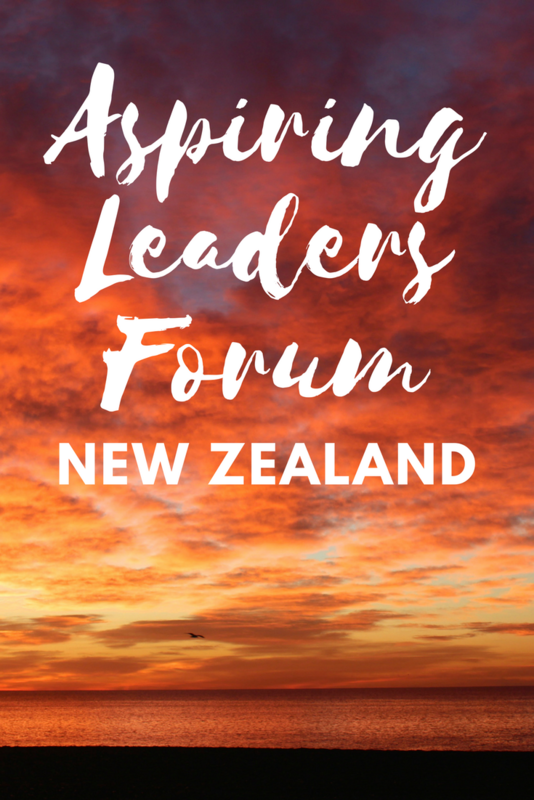 The Aspiring Leaders Forum is an annual event that is guided by facilitators and esteemed national leaders. Hundreds of young people from across the country are nominated to attend by their universities and employers and meet in Wellington to embark on a journey of personal and professional development. Throughout the Aspiring Leaders forum, we listened to several keynote speakers, attended question and answer time at the parliament house, had meetings with local MP’s, attended a sporting tournament, poetry seminars, workshops, participated in community service and ended the forum with a night of barn dancing. We were put into small groups of 10 and spent the entire duration of the Aspiring Leaders forum in the same small group. Each activity helped us learn more about each other and open up to one another. I was totally inspired by the people at the Aspiring Leaders forum and the amazing things that each person does in their spare time to make a difference. At that moment I realized that each one of us has the power to change the world. Changing the world doesn’t necessarily mean finding a solution to world hunger or poverty. Changing one person’s life can change the world. To be a great leader you don’t need to be in a position of power. Great leaders come in all shapes and forms- we all have the power to lead, inspire and make a difference. This is our group with Bill English, the prime minister of NZ at the time. Our community service project involved going into a street with a team of 170 people and transforming 17 homes. In just 3 hours the Aspiring Leaders Forum changed the lives of 17 families, helping them to do things they couldn’t do alone. At the home we worked on, I met a boy called John Harvey. John Harvey was 8 years old. I asked John Harvey what he wanted to be when he grows up, he responded: “I want to be like you”. Why? I asked. “Because your nice and you help people,” John said. Little John Harvey touched the hearts of our team and will without a doubt become a leader within his community. 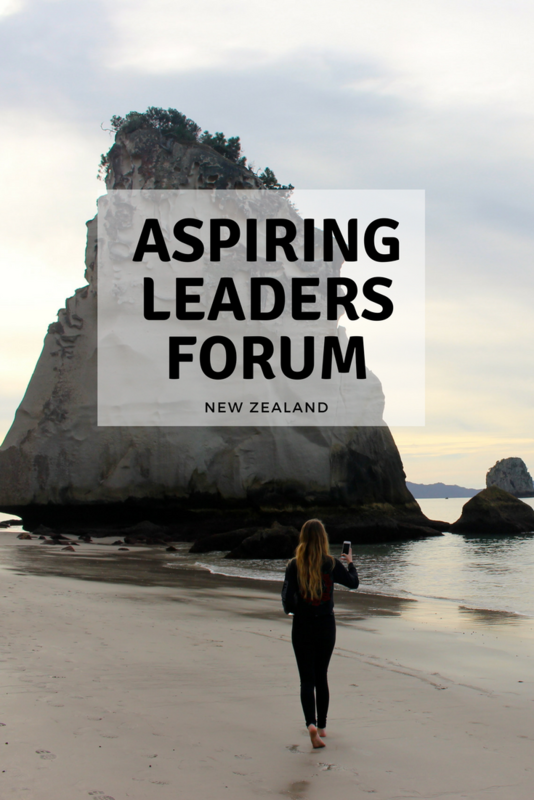 The keynote speakers we heard from over the Aspiring Leaders Forum had never met or discussed their speeches, yet each speaker discussed the same topics. All speakers touched on the importance of family and having a good relationship at home. They discussed the importance of being true to yourself and knowing what your values are and standing strong to these values both at home and work. Resilience was mentioned several times. Many of our speakers had faced adversity, yet overcome it again and again. “It doesn’t matter how many times you fail, it matters how many times you get back up and keep fighting”. It took the MP we met with 8 years and 4 losses to be voted into her seat. “You can’t win every battle, so take failure graciously and never give up”. The importance of having a vision was discussed repeatedly. “When you have a vision, share it and inspire others to help you achieve your vision. Great things happen in teams, there is more success in communities than in individuals”. Honesty and respect for others were mentioned across the board. Being able to accept responsibility and disagree respectfully is a key characteristic of great leaders. It was also emphasized that we must dream big, challenge the status quo and don’t always accept things the way they are. True leaders don’t just follow, they look for new and imaginative ways to do things and they make it happen. On the last morning of the Aspiring Leaders forum, we had a keynote address from Naomi Reese. Naomi captured an audience of 170, leaving the whole room in tears after her inspiring speech. The emotion within that room could not be recreated, it was like nothing I have ever experienced. It made everyone feel compelled to stop dreaming about making a difference and do something. To take our dreams, turn them into a vision, share it with others and make it happen. “A vision without action is a dream. A dream without action is a nightmare”. The most valuable part of the Aspiring Leaders Forum for me was the small group time. During our small group meetings, we spent a lot of time reflecting on the past in an effort to understand our values and motivations. The journey of self-reflection made me realize what is motivating me and what my values and purpose are moving forward. As a recent Griffith Graduate, I am now inspired to help other Griffith Students to achieve their dreams. A common problem I have noticed is that students often wait until their third year to gain industry experience, undertake an internship and connect with mentors. Waiting means that students are missing out on opportunities. Since leaving the forum, I have found a job at Griffith University in recruitment where I assist students to find work opportunities, both casual and degree related. I run a number of workshops where I get to share my story and inspire students to dream big and give them advice on how they can achieve their career goals. It all started with an email inviting Griffith students to express interest in attending a professional development event. Throughout my degree I applied for every opportunity I was eligible for so this opportunity was no exception. Griffith accepted my application and sponsored my attendance at the Aspiring Leaders Forum in Wellington New Zealand. This meant my entire trip to New Zealand was paid for and I was supplied with spending money for the time I was there. This was the perfect end to my degree and sparked a desire within me to stay and make an impact within the Griffith University community. When I applied to attend the Aspiring Leaders Forum, I wasn’t sure if I would be accepted, but I was. This wasn’t the only opportunity I came across in my degree. I also won scholarships, got to study in Hawaii for a semester and was selected to undertake a global internship. All these opportunities came from putting myself out there and applying for them, despite the odds being against me. I hope these stories encourage you to put yourself out there and apply for every opportunity you come across because you never know where it will lead. I am writing this as I embark on another amazing opportunity with Youth Hostels Australia. If you enjoyed my experience from the Aspiring Leaders Forum, please pin it. Fantastic story Lucy. I love your reflection about what it means to be a leader. You definitely make a difference in people’s lives every day.